How long does it take to heal a broken heart? Can you ever forget that one perfect relationship you had? Anjali knows who she wants, she wants Aman. Aman too knows who he wants, he wants Shruti. Shruti and Aman were once inseparable. Theirs was a love that would last forever and more. Then, out of the blue, Shruti left Aman. A devastated Aman moved abroad in the hope of forgetting Shruti and to heal. Shruti married Rishabh. Now Aman is back in India and looking for a fresh start. But he is still haunted by memories of his love. Can he ever break free from it? His head tells him to move on, to find love with Anjali, but his heart won’t listen. No matter what he does, Shruti’s shadow looms large. Can there be a happily-ever-after for any of them? A straight-from-the-heart modern-day romance of unrequited love, of complicated relationships and about moving on when you realize that there will always be the one you cannot have. Her other works included 34 Bubble gums and Candies and Life is What You Make it, among others! Aman is handsome and hardworking. He is friendly and charmimg. He is also someone who is struggling to let go off his past and move on in life. Shruti is confused and uncertain. Her heart wavers a lot and she has a big problem with decision-making. She is independent yet so dependent upon her past and the sweet memories associated with it. Anjali is beautiful and smart. She is friendly and outgoing. She is understanding and empathetic. She is also ambitious and thinks from head! She is a no-nonsense person; a person with who we can easily fall in love with. Rishabh is a perfect husband material. He believes in camaraderie and truths. He cares more about trust than anything, He is patient and sweet tempered. He is also an introvert. These days, it is easier to fall in love because we get to be with the company opposite gender a lot. It is also easier to be in touch with them. Thanks to the virtual world. Sadly, love is also becoming short-term. Heart-breaks are becoming inevitable. Now, infidelity is not only physical but also emotional. Relationships are becoming more and more complicated. This book narrates love story in such a complex, (techno)logically driven world. This shamelessly discusses pre-marital and extra-marital affair. It also put forth the insecurities that modern day arranged marriage carries. The narrative is eloquent, but characterizations are intricate. The editing is crisp and flow of the story is commendable. It carries an aspect of progressive thinking also where emotional infidelity matters more than the physical one; an aspect which I loved the most! How true that internet has eased our professional life and messed the personal life! 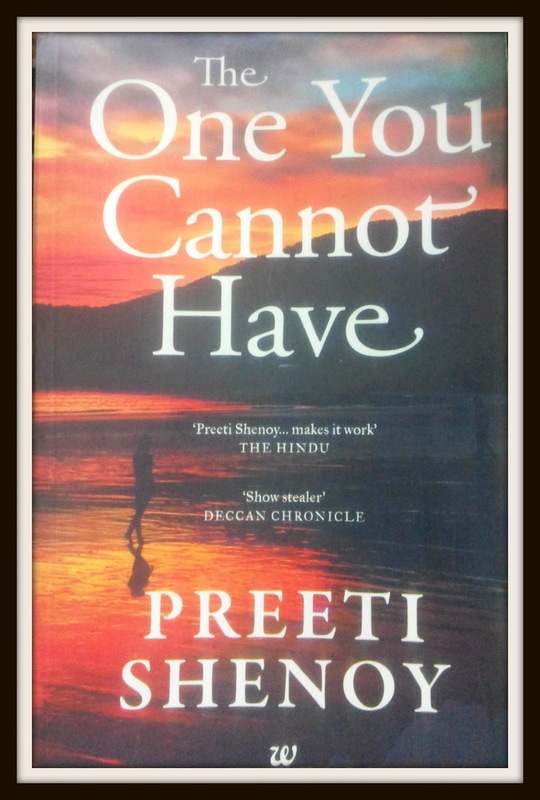 I enjoyed Preeti’s bold take on such a common/complex relationships and putting that forward convincingly! I also liked the fact that is conveyed – Nobody can control destiny… Love and marriage is two different things! – These are the two facts that I strongly believe in myself! It is relatable and enjoyable. It is also magical and memorable. It is sweet and asks us to throw away the sour memories. It is heartwarming and pleads to forget the heart breaks and heart aches. It is a book that spreads happiness and positivity. If you are a broken heart youirself, it will motivate you to move on, It will helo you understand that it is alright to let go someone because there can/will always be The one you cannot have. If you are not a happy-go-lucky-guy, you will try to look at the heart-breaks of others through a different angle. You will try yo understand them and stop accusing them for the past act. The cover page seems too far away from the story. It could have been much-much better! This can be emotionally demanding and draining. And I wonder why everyone settle for a happily-ever-after mode. Is that possible in real life too, the cynic in me thinks aloud! My dear friends who recommended this book to me. And Preeti Shenoy for reading few passages from the book in the Bangalore Lit Fest and arousing the interest! PS: Wow! This is my 100th book review!!! I've read the book and I must say that though the story is nothing new, Preethi has done a fair job with the narration. And Preethi strikes a chord with readers!